Join us in celebration of our 30th Anniversary! Help NBAF ensure that every child in our community, regardless of their circumstances, can enrich their life and build their future through the arts as we work to uplift the next generation. "Fashion and philanthropy go hand-in-hand. It's really about impact – impacting communities' women and culture. I'm inspired by women who live in this world where they don't have to impress anyone. I want to design for them because they are impressive already. I am grateful that NBAF gave me a platform to launch my dream." like me a chance to realize my dream of being a world-renowned photographer." - Payton Johnson, current NextGen Artist Student (a youth development program for arts exposure to fashion, visual arts and film/media). For most of his life, Payton has felt he wasn't able to express himself freely. However, he's found that drawing and photography have helped give his mind freedom to breathe. Through NBAF's unique partnership with Savannah College of Arts and Design (SCAD), star students in our NextGen Artist program like Payton have an opportunity to receive a scholarship to participate in a Summer Immersion Program at SCAD. "NBAF helped expose me to the finest artist in the world, the numerous programs and services throughout the years assisted me in achieving my best and becoming my most creative self. NBAF also commissioned some of my earliest work which spring-boarded my career to international recognition. I am now "Paying it Forward" and contributing to NBAF's mission." Radcliffe Bailey is a painter, sculptor, and mixed-media artist whose work has been described by the New York Times as an exploration of "Black Atlantic culture, the vital, nurturing, agitated link between Africa and the Americas." Radcliffe's work has been exhibited at The Gibbs Museum of Art, Charleston; The High Museum of Art, Atlanta; the McNay Art Museum, San Antonio; and Jack Shainman Gallery, New York City, and is a part of museum and private collections around the world. Make an anniversary gift today to enrich artists like Azede, Payton and Radcliffe. On behalf of all the aspiring artists in our community, thank you. Make a gift by the end of 2018 to add your name to this list. If you have any questions, please contact me Vikki Millender Morrow (vmorrow@nbaf.org). Will you join us to celebrate this milestone year? Life is best when we are all in. Thank you NBAF for providing these programs. I believe that exposure to the arts amplifies the neurocircuitry of the minds in every man, woman and child in our community. Art and artists make the world a better place by creating dialogue! Thank you, NBAF, for making that possible! NBAF is the crown jewel of black arts and culture organizations serving the community. It's continued existence and ability to thrive is imperative! I supporting the 30th Anniversary event. It was most memorable. In memorial of Ms. Lou Fuller. A mother whose love endorse forever. Thank you to Louise Sams for sharing the impact of this organization. I hope NBAF continues to bring joy to children in our community! My parents exposed me to the arts at an early age and I vow support the growth and exposure of the arts community in any way I can! Cultural arts are critically important to an educated & engaged society. 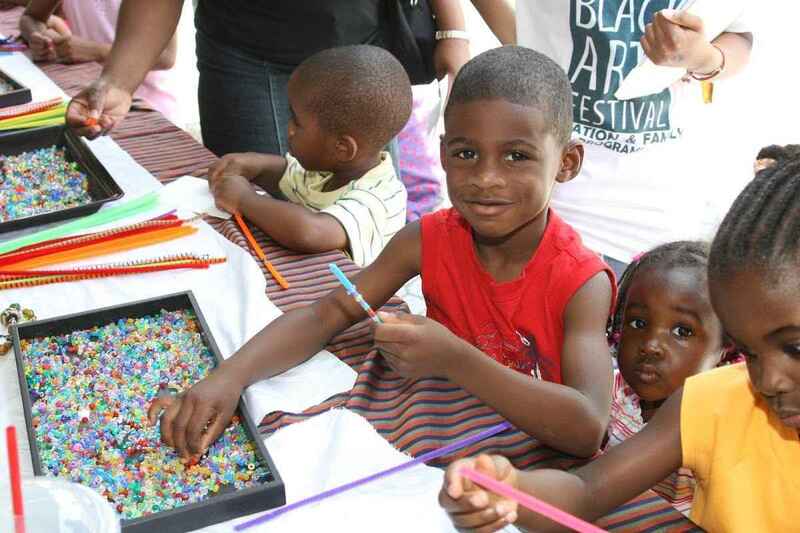 NBAF makes a tremendous contribution through the richness of Black Art. Long live the Black Arts Festival!